One could argue that due to the technologies on the market, arc flash and other electrical life-threatening events should be rare occasions. But electrical safety is more than just applying a product or sitting through a training class; it’s a regiment of training and procedures implemented in combination with technology that saves lives. There’s no silver bullet for safety. Just like respect, and I don’t mean the respect we should give electricity, safety is earned. Simply attending class and punching your ticket, so to speak, is not enough. An earlier edition of this column gave you a view into arc-flash events from a survivor perspective. One of those individuals attended training classes and was well aware of the dangers of his profession but that was not enough for his safety. You have to implement what you learn. In short, you have to take action. You not only can impact your organization and the projects you work on, you can also impact the codes and standards that set the stage for safety. This article will emphasize your need to work towards safety and to implement what you have learned in your jobs and your lives; it will also help you see how you can get more involved and make an even better and safer electrical industry. Photo 1. Attending training class is just your first step. You must apply what you learn to realize the value of your education and to keep those skills alive. Getting beyond the importance of having codes and standards, we all must do our part and help with their development and adoption. It is important to remember that codes and standards are not developed by the individuals who volunteer to sit on panels; codes and standards are developed by you or people like you that are advocates of safety. Do not lose sight of this fact. It is your input, your proposals, your continued due diligence for safety that creates these documents that we use on a daily basis. The volunteers that sit on code making panels review your input, comment and ultimately either adopt or reject it. What they adopt may be your exact words or some derivative of them. You can’t simply sit back and expect others to improve these documents that you use. Get involved. The NFPA provides you numerous opportunities to propose and comment during a code development cycle on the documents they administer. TheNECjust happens to be one of those documents that you and I use on a daily basis and it just so happens that it is in the middle of a new cycle.NEC2014 is currently being worked on by the 19 code panels that are responsible for all of the chapters of this important document. Your proposals are forming this new document. The Report on Proposals (ROP) document is available at the following URL:www.nfpa.org/70. You can download these documents for free and also download the comment forms to submit comments. NEC 2014 is a baseline for safety and, once released, will be reviewed by states and local jurisdictions for adoption. Don’t be mistaken and think that you only have input to the NEC. You can impact other codes and standards as well. In addition to the numerous NFPA documents, these include but are not limited to the International Code Council (ICC) and Underwriters Laboratories (UL) codes and standards. The codes and standards that you work with on a daily basis have a process for their continued development and a cycle for their revision. Most of these are ANSI documents that follow rules for public input. Your ideas can make these documents even better than they are today. So let’s take a quick look at the success of NEC 2011 as it moves across the United States. NEC 2011 state-by-state adoption is a very good tale to tell. Table 1 is a list of states who have adoptedNEC2011, including their effective dates. The adoption process for most of these states has been quite uneventful. Some states that have never had a statewide code are in the process of changing that status. Alabama, for example, not shown on the list below as they have most recently adopted NEC 2008 through the adoption of the 2009 International Residential Code (IRC), will now be on a statewide code. It would have been nice to have Alabama adopt NEC 2011 by reference rather than use the IRC version of the document, but it was just not in the cards for that state. The amendments in these various states are relatively low; especially if you compare them to NEC 2008 adoption success. They range anywhere from removal of GFCI requirements for garage doors and sump pumps (Ohio) to keeping AFCIs on bedroom circuits only (Oregon). AFCI adoption for states on NEC 2011 has been quite successful, with Oregon as the only state that has adoptedNEC2011 keeping AFCIs on bedroom circuits only. That has historically been a practice in that state and old habits are, I guess, just hard to break. The difference between NEC 2011 and NEC 2008 from a financial impact perspective, as reported in an earlier version of this column, is minimal at best. Most of the changes occurred for those areas of the structure that are not basic requirements of a building code. The bigger issue for states these days is not theNECbut rather the energy codes that they must adopt. The state-by-state adoption of the NEC and other building codes, unfortunately, can be a very political process. A good example of this is currently being played out in the state of Michigan. State-by-state adoption issues have historically been focused on amendments to the proposed code. We’ve typically seen a focus on GFCI, AFCI, selective coordination, tamper-resistant receptacles and other similar sections of the code when it comes to amendments. But just when you thought the controversy would be minimal and adoption of the NEC would go off without a hitch because these areas of the code have little to no change in them, you have a state like Michigan throw yet another kink into your vision by working to extend the adoption process from a 3-year cycle to a 6-year cycle. Pennsylvania is considering the same. Those who try hard to amend the NEC when it is adopted have basically run out of issues to argue. When you have no arguments against a bill at hand, your next strategic move is to implement delay tactics. Many organizations are working together to educate legislatures across the country on why this is not a good idea, but it takes people like you and me to voice our concerns when our state or local jurisdiction decides to make amendments to bare minimum codes. Get involved with your local code adoption process and support timely adoption of the NEC without amendment. Training is a fundamental part of safety. It’s not only something you can do on your own but is usually more effective with periodic interaction with other formal programs. If you think that training classes are only good to attend because you need CEU credits for your license, you are mistaken. Seize every opportunity. These training events are not only places where you get your immediate questions answered but also where you build your network of professionals that you can leverage when you have questions later. Photo 2. IAEI offers many educational opportunities. Attend your local meetings and don’t forget about the Section meetings that occur every year. Education and networking opportunities are not far away. IAEI provides many opportunities through section meetings and state/local chapter meetings. These events are great opportunities to get updated on latest code changes and code questions, electrical topics like grounding and residential wiring and many other opportunities to network with key individuals. Trade magazines like IAEI News also provide good information for reference. I personally keep all of my IAEI magazines as well as other trade magazines to which I subscribe filed away not too far from my desk. Another method I use for some periodicals is to snip key articles and file them by topic. Nothing can replace your network of professionals when it comes to finding answers to your questions. The best place to create that network is at IAEI meetings. 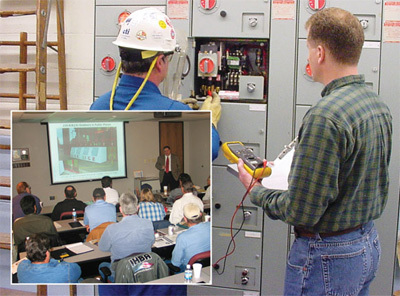 Those individuals who attend these meetings love to talk about electrical safety and more often than not are those same individuals that volunteer their time on code panels for the NEC and other key documents we use on a daily basis. Sharing knowledge is the bare minimum we can do to be advocates of safety. Safety Plan — Yes, your safety plan is an important product that you manufacture yourself for your own organization. Just about every presentation and training seminar I personally deliver has time set aside to poll the audience and talk about their safety plan. I’ve had various individuals tell me that they don’t have a safety plan because they do residential work. My response to that is a safety plan is important no matter what market or structure you work in. Put the basics of your plan in your truck to remind yourself on every job. Working de-energized should be at the top of your list. Personal Protective Equipment (PPE) — PPE is not limited to those big heavy suits that protect you from arc flash. PPE also includes eye and ear protection. We can sometimes forget about these most basic items that protect the most sensitive areas of our bodies. You may not be in front of energized equipment and may in fact be working de-energized but you will still need your eye and ear protection. Every day we experience sound in our environment, such as the sounds from television and radio, household appliances, and traffic. Normally, we hear these sounds at safe levels that do not affect our hearing. However, when we are exposed to harmful noise — sounds that are too loud or loud sounds that last a long time — sensitive structures in our inner ear can be damaged, causing noise-induced hearing loss (NIHL). These sensitive structures, called hair cells, are small sensory cells that convert sound energy into electrical signals that travel to the brain. Once damaged, our hair cells cannot grow back. So how loud is too loud? Your eyes are yet another sensitive area that must be protected. In many cases, you may not be actually performing the work but still need eye protection. The most basic PPE is not limited to eyes and ears. Don’t forget about your feet and hands and even your knees. Wearing the correct PPE while you work is important no matter what you are doing. Make sure your PPE is up-to-date and on your person — not in the truck. Ground-Fault Circuit Interrupters (GFCI) — This technology has been around for quite some time and has saved many lives. Job sites that have temporary power have requirements in the code that specifically call out GFCI protection. These requirements are there for a reason. But you don’t have to stop at the bare minimum code requirements. GFCI can provide protection on more than just those circuits in a home that have been called out in theNEC. Going above and beyond is not a code violation. Arc-Fault Circuit Interrupters (AFCI) — These products too have been around for quite some time and have prevented fires and found many wiring mistakes / damaged conductors and a good number of damaged appliances. This is an unforgiving technology that can detect wiring problems. You do not have to only include these on the circuits that have been identified in the NEC. They can be applied on any 15-A and 20-A circuit and will find the wiring problems that can be detrimental to the occupants of the structure. It’s that electrical inspector that you leave in the load center that keeps an eye out for problems. 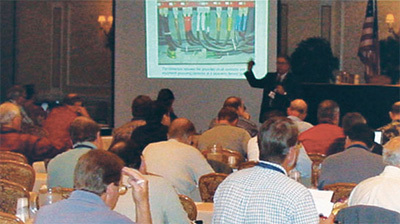 Arc Reduction Technologies — Earlier in this article I said, “One could argue that due to the technologies on the market today, arc flash and similar events should be rare occasions.” In addition to GFCI and AFCI solutions on the market, there are many solutions now available that work to reduce the energy on a system when a fault occurs. The NEC now has Section 240.87 that specifically calls out these technologies, or approved equivalent, for certain installations. You can always go above and beyond when it comes to implementing these technologies. Zone selective interlocking (ZSI) and arc flash reduction switches have been used for many years in industrial power systems for certain markets. Now the code is beginning to recognize the value of these technologies and requiring them under certain conditions. Arc-Resistant Electrical Equipment — Those big grey boxes we live and work with on a daily basis are also now being designed to channel arc-flash energy up and out as opposed to directly in front of the gear where we typically stand and walk. A little thought during the design process can make a big difference down the road when it comes to safety. A little education and awareness go a long way. Handheld safety equipment — We can’t forget those tools that make it possible to detect problems and also indicate what is energized, keeping us out of harm’s way. These handheld devices are great tools but just as with any product, if you do not apply them correctly, they can be dangerous. Reading instructions and being diligent about how they are used is critical. Misapplied meters and other equipment, handheld or not, may result in disaster. Remember to read the instructions and apply all of your products correctly. These products can be a great asset to your organization. From Infrared cameras to meters, there is a broad range of solutions available that can help detect wiring problems and system issues. They are worth the investment. The above is just a sample of the various types of solutions available on the market. Simply having these products on your project or in your truck does not mean they will achieve the expected goal. They must be utilized appropriately and included in your safety plans and procedures to be effective. As noted earlier, electrical safety is more than just applying a product or sitting through a training class; it’s a regimen of training and procedures implemented in combination with technology that saves lives. We can be very knowledgeable and have all of the best safety solutions employed in our facility. We may even have the best that PPE has to offer hanging in a closet or in a bag that is readily accessible. If you don’t make the first move and flex all of this horse power, that investment was all for naught. You must get moving and work to make a safe environment for youself and those around you. Be an advocate of safety by doing the bare minimum — share your knowledge with those around you. Spreading your knowledge just may save a life or keep someone out of the hospital.